Top of the line performance at a bargain price: This refurbished Saeco Gran Baristo saves your mornings—and your wallet. Designed with the best of Saeco's wide featureset, the Gran Baristo manages to squeeze a lot of tech into its svelte casing. Saeco's unique veripresso brew unit enables both high- and low-pressure brewing, moving it closer than ever to a one-touch drip-coffee maker. 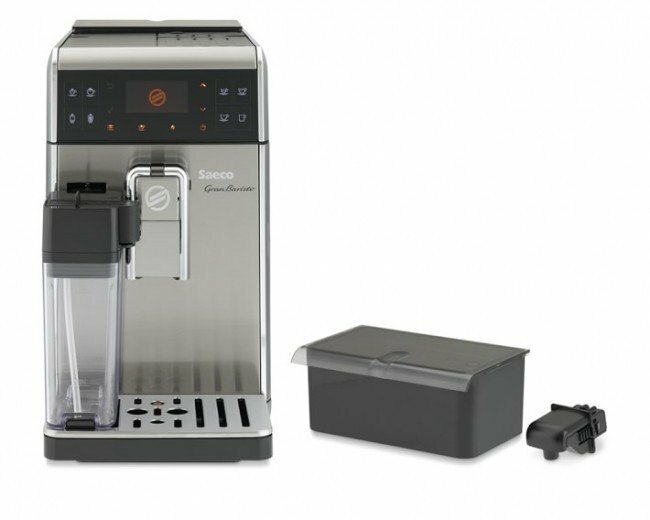 It also features some of Saeco's best programmability: One-touch brewing with the included milk carafe, user-dedicated profiles and drink menus, automatic start-up, and power-saving modes. Best yet, the Gran Baristo's narrow 8.25-inch case makes it easy to squeeze into you kitchen. Because of these cosmetic blemishes we are able to offer this product at a substantially lower price point than new or even grade A refurbished machines. This Product has been FULLY tested and cleaned and is in 100% working condition. If you don’t mind a few scratches or marks on your unit and want to save some serious cash than this product is for you! User Profiles - This machines allows up to 6 separate users the ability to customize and save their drink preferences. 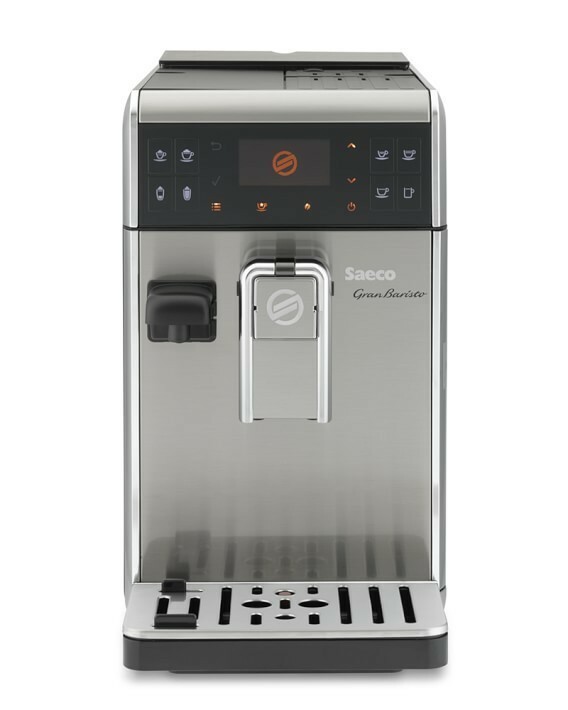 The Saeco Gran Baristo is conveniently equipped with 3 preset profiles (that can be reprogrammed to your taste) and also offers 3 additional blank profiles to program. Programmability - The Gran Baristo allows you to customize your drinks with the following program options: aroma (coffee strength), coffee quantity (amount of water used to brew), coffee temperature (low, medium, high), taste (enables pre-infusion and can be set to delicate, balanced and full body) and the amount of milk used when creating a milk based drink. Coffee Profiles - Choose the Robusta or Arabic coffee profiles (depending on the type of beans your brewing) and the Gran Baristo will adjust the way it brews for optimal flavor. Removable Bean Container - The 9.50 ounce removable bean container makes grinding through old beans, just to add new beans, a thing of the past! Flip the bean container lock to release the Gran Baristo's hold, lift the container and dump out your old beans. Easy peasy! Auto Milk Frothing - Effortlessly create delicious milk based drinks with just a touch of a button using the removable milk carafe. Clean and rinse the milk pitcher in soapy water between fillings. Wipe the brushed stainless casing with a damp rag or sponge. Casing can be cleaned periodically with stainless steel cleaner/polish.